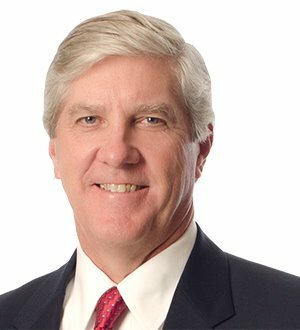 Louis Britt is the Regional Managing Partner for FordHarrison's Memphis, Nashville and Dallas offices. He concentrates his practice on employment litigation and advice, representing private and public employers in a broad range of employment matters. Louis handles employment discrimination and harassment cases (Title VII, ADA, ADEA and FMLA), wage/hour matters, enforcement and defense of restrictive covenants contained in employment agreements, and employment-related torts. He is experienced in complex and class action litigation, and has tried cases in state and federal courts across the country. Louis has extensive experience in public sector representation in both litigation and collective bargaining. Louis is a member of the Labor and Employment Section of the American Bar Association; the Labor Section of the Tennessee Bar Association (Chair, Executive Council, 2008-2009); and the Memphis Bar Association (Board of Directors, 2008-2009), Labor and Employment Section. He is a chapter editor for The Fair Labor Standards Act (ABA), and is a frequent speaker on employment law matters. In recognition of his accomplishments, Louis was inducted as a Fellow in the National College of Labor and Employment Lawyers in 2010. University of Memphis - Graduate School, B. A.